Ghosts, goblins and vampires aren’t the only things that are scary about Halloween. If you’re trying to follow a healthy eating plan, the approach of October 31 can make you worry that your health and fitness goals will fall to the wayside. Although Halloween is synonymous with candy in many people’s minds, and the average trick-or-treater brings home 7,000 calories worth of candy1, you don’t have to let the holiday get the better of your health goals. Here’s what you can do make Halloween as fun and as healthy as possible. Whether you’re headed out to a Halloween party for adults or are taking the kids out trick or treating, make sure to have a filling, nutritious meal first. When you’re not hungry, you’re going to be less likely to overindulge on less-than-healthy dips and snacks offered at the Halloween party. And if you and the kids eat a meal before you trick-or-treat, you’ll all be less likely to dip into the candy stash as you travel from door to door. You don’t have to dress up as Olivia Newton-John for Halloween (bonus points if you do, though), but what you can do is find a way to work some physical activity into your celebrations. 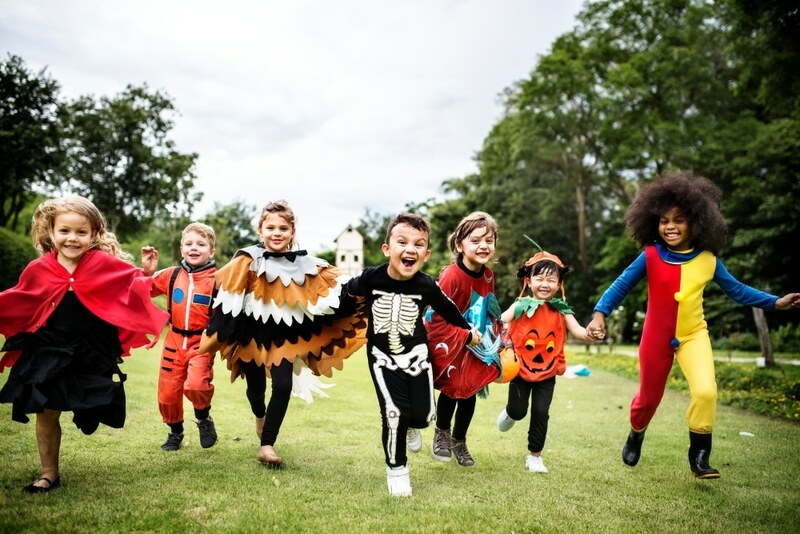 If you’re hosting a party, plan a few fun, movement-based activities, such as a Monster Mash dance contest, a mummy wrap or (if you want to go all-out) a haunted maze. There's no rule that says that trick-or-treaters need to get candy. Instead of handing out sweets, try giving kids non-edible items, such as small toy cars, bouncy balls or bubbles. Worried that kids will be disappointed if your house is the house that isn't giving out candy? Don't be. One study found that kids were just as likely to pick out toys as candy when given the choice on Halloween2. Sometimes, people's response to the mountain of candy that their kids bring home on Halloween is to bring that candy into the office and pawn it off on unsuspecting co-workers. If your office transforms into Candy Land the day after Halloween, talk to your colleagues and see if you can tuck the candy away. Although some kids end up with enough candy to last them all year on Halloween, not every child can go out trick-or-treating. If your family ends up with more candy than you know what to do with, considering donating the excess to a good cause. 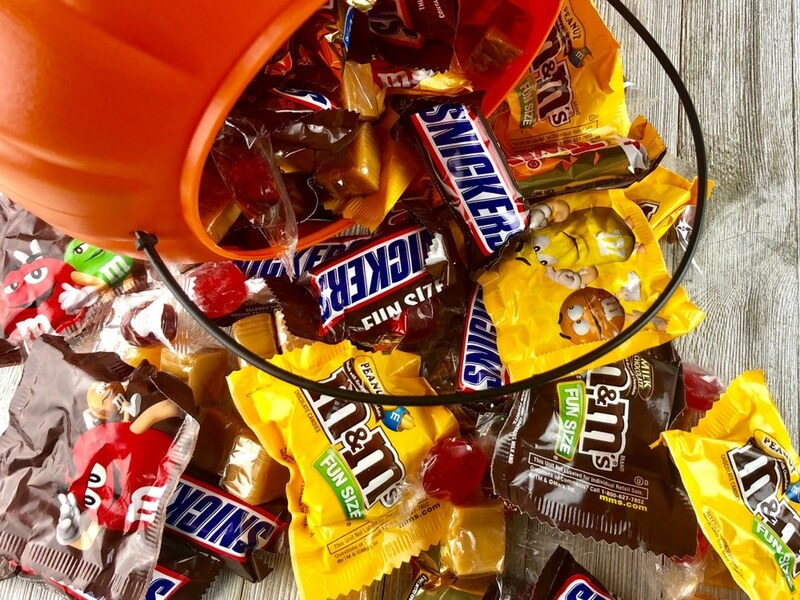 Several organizations3 happily accept donations of Halloween candy and then distribute that candy to children in hospitals or to troops stationed overseas. Although it's a holiday that focuses on candy, Halloween doesn't have to be a disaster for your waistline. Having a plan for what to do about any candy that comes into your house and clear limits for yourself and your kids will help you survive the holiday without losing track of your goals.